This shows the inside of the memory box. 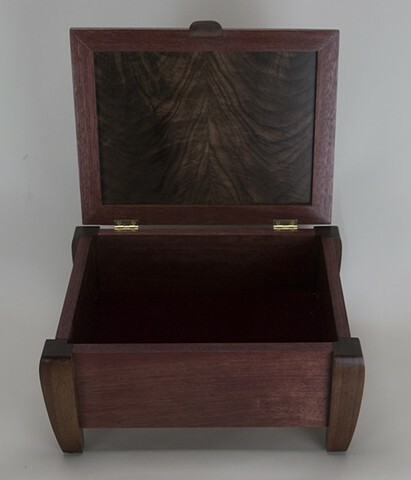 The lid panel is book matched crotch walnut, the remainder of the box is purpleheart. The inside bottom is covered with red velvet. The Brusso hinges allow the lid to remain open at a 95 degree angle.